Engineering Grand Tours allow families to learn about our engineering program, scholarships, co-ops and internships, housing and hear directly from professors and students. You’ll visit state-of-the-art classrooms and laboratories as well as the new engineering residence hall. 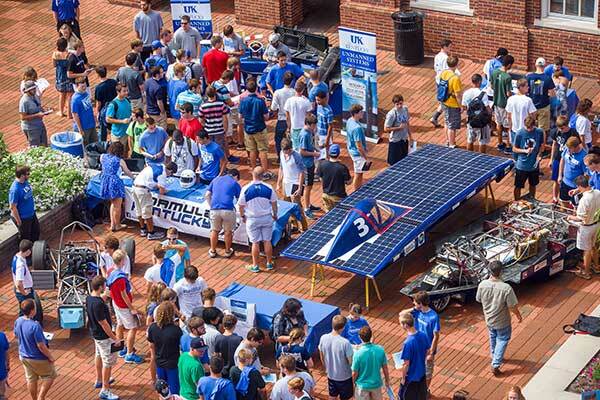 Engineering Information Sessions are one-hour meetings with a UK Engineering Recruiter to learn about our engineering program, scholarships, co-ops and internships, housing, and more. Tours of research laboratories and the new engineering residence hall are available upon request. 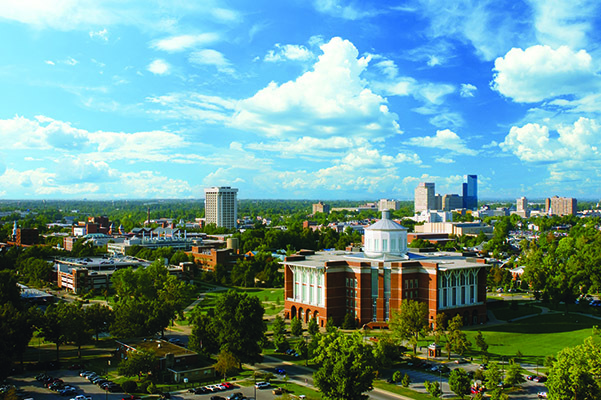 In addition to coming to campus for an engineering visit, we encourage seeing the rest of our beautiful campus as well. 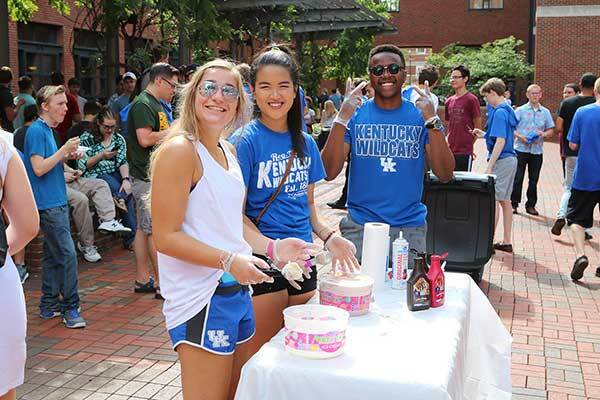 The UK Visitor Center offers general information sessions and campus tours Monday through Friday (and select Saturdays) all year long. 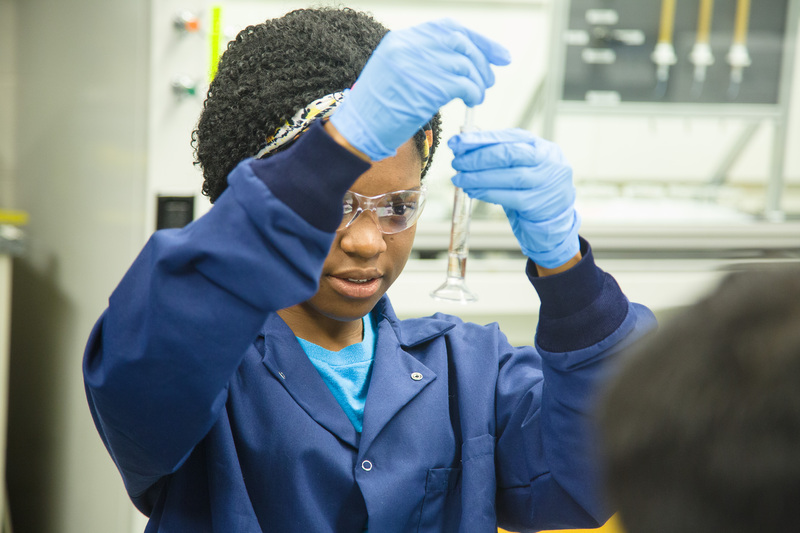 During Women in Engineering (WIE) Day, high school women grades 10-12 will interact with alumni, faculty, staff and students as they explore UK Engineering. Learn about the process of applying to UK, listen in as female faculty members discuss their experience as a woman in engineering and engage with current leaders in the UK Society of Women Engineers. The next WiE Day is March 19, 2019. 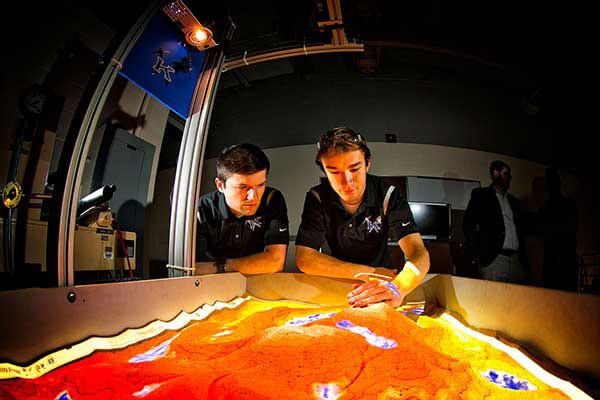 The University of Kentucky and the College of Engineering offer many opportunities to learn about our programs, engage with professional engineers and explore the world of STEM careers. From our annual E-Day event to Engineering Girls Day there will be an event to inspire you and your children.